Today’s society consists of a lot of busy people who are looking for every way possible to make their lives easier. For this reason, there has been a trend away from smaller family cars to larger models capable of seating more people. They’re also great for lugging around groceries and sports equipment. The problem is that many don’t stop to consider the implications of driving a private minibus. In fact quite a few aren’t even aware that their vehicle is classed as a private minibus. But what exactly is the problem? Isn’t it just like having a bigger car? Not quite, since minibuses have different requirements when it comes to insurance and licensing. 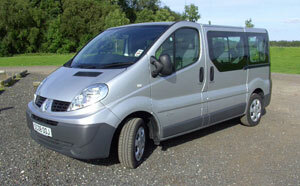 Any ordinary vehicle can already be classified as a minibus once it has between 9 to 16 passenger seats. However, it may be considered as a “coach” when it has more than 16 passenger seats. Typically one would have to get a special license to operate larger vehicles as their longer size makes manoeuvring them a bit different from driving a car. This makes sense but it can be a bit of a hassle when one just wants to drive around in a private minibus. The common thinking seems to be that if one has a vehicle which can carry a large number of people then obviously one means to ply it for hire. However, it is possible to get away from applying for a commercial license if one has a private minibus. Certain conditions must be observed though. It might seem obvious, but it’s not quite as evident as one might think. Some countries stipulate that one can only use the private minibus within the confines of its own borders. That means no flying the vehicle off on vacation. The private minibus must be just that, private. It is prohibited to use it for hire or reward of any type. Also, no one else must be allowed to accept payment for driving the minibus. The private minibus cannot be used for towing a trailer of any size. It is important to note that each country, and indeed each state or county, can have differing regulations when it comes to the operation of a private minibus. Aside from getting a valid driving license, there are still other regulations that apply to driving a private minibus. It is highly recommended that one checks out the relevant Government department’s website for more information on the other specific legal requirements. Moreover, the insurance for a private minibus may not be the same as one’s standard car insurance. As such, if considering buying a private minibus, it would be worthwhile to check out minibus insurance specialists who would be better able to offer guidance. There are a number of online resources to which one can turn if there any questions that one would like to have answered. One can contact most insurance companies directly but it is best to do a bit of research first so that one can be sure of the reliability of the firm in question.